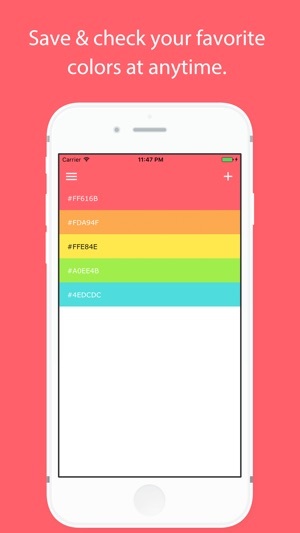 ColorHub is a great tool for designer and color player. 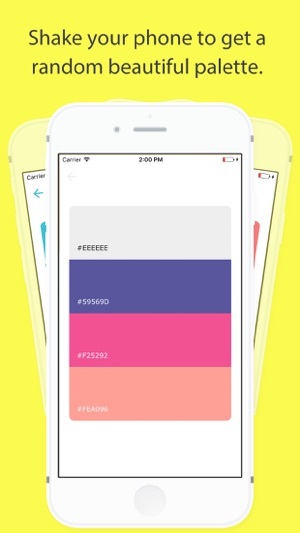 Keep all your favorite colors into your pocket. Get inspiration from this colorful world. 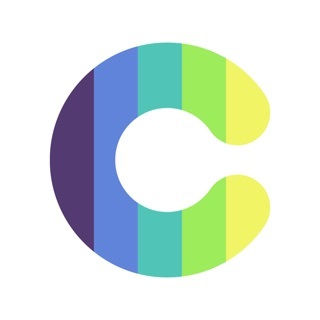 > Easily add your favorite colors to ColorHub and check them at anytime. > Show you monochromatic, analogous, triadic, split complementary and complementary colors for your favorite color. 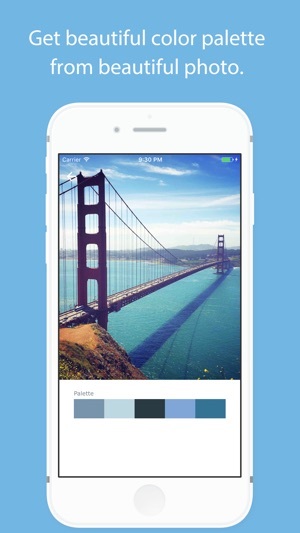 > Get palette from your colorful photos. > Shake it to get a random palette. 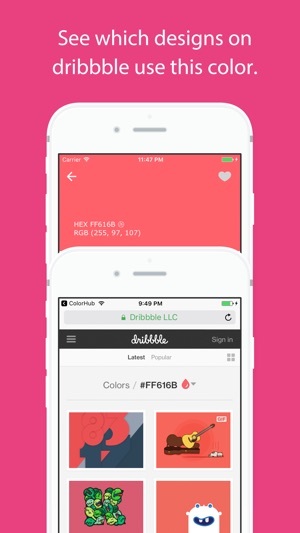 > Explore what designs in Dribbble use the same color with you. 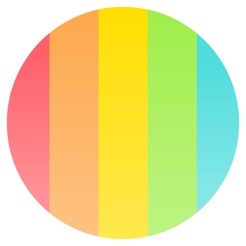 If you like ColorHub, please share it with your friends or share it on Facebook or Twitter. You can also tell me what you think about this app. 1. Shake your phone to get a beautiful random palette. 2. Take a photo to get a palette. The “shake” feature won’t work? ?